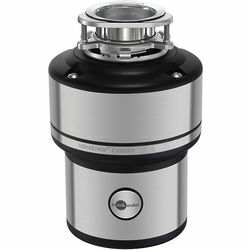 InSinkErator > Evolution 250 Continuous Feed Waste Disposal Unit. InSinkErator Evolution 250 continuous feed waste disposal unit with 8 years guarantee. Continuous feed high torque induction motor. 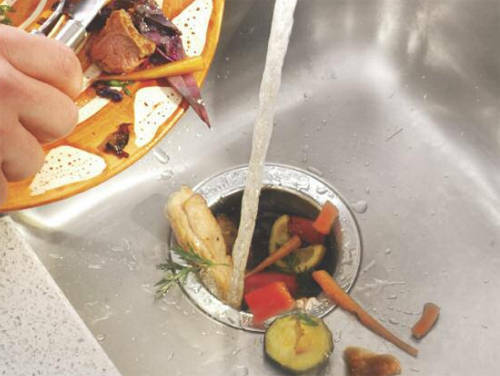 Stainless steel strainer basket & plug. Built-in air switch in black, chrome and brushed steel. Deluxe polished chrome stopper cover. Quiet sink baffle multi layer sound insulation. Stainless steel grind elements and grind chamber. Quick Lock� mounting assembly for faster, easier installation. Permanently lubricated upper & lower bearings. 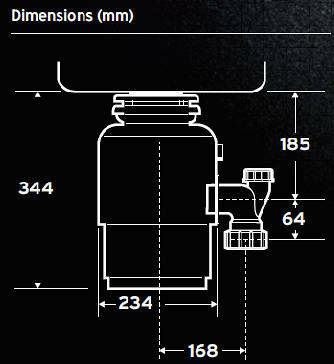 Drain connection: 1-1/2" (3.81cm) anti vibration (hose clamp). 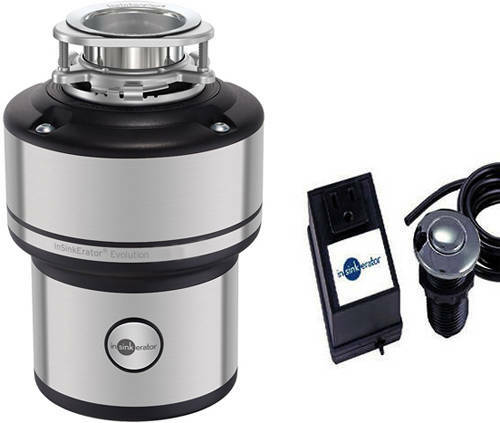 8 Year guarantee: 8 year parts and service guarantee from InSinkErator.